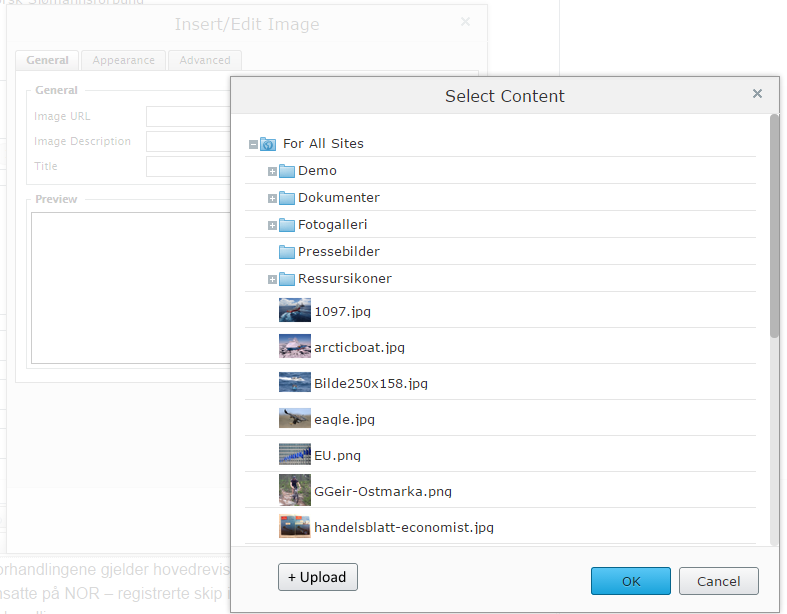 When using the "Insert/edit image" button in TinyMCE and pressing the "Browse" icon, you are taken to the "Select content" dialog. The problem is, you can only select from already uploaded content. There is no option to upload a new image in this dialog. Which means you have to cancel all the dialogs, then open the Assets pane and upload the image, then use the "Insert/edit image" button again. Yes, I know you can drag-n-drop an image from the Assets pane to the XHTML textarea. But this is not intuitive for all editors who might be looking explicitly for an Upload button. Also, try drag-n-dropping on a mobile device..